Na Baan Pier is the main entrance to Koh Lan and the village of Naban Port. Come here to shop for souvenirs and sample traditional Thai cuisine. Organize excursions to the island’s magnificent beaches and marvel at impressive panoramas. Na Baan Pier sits on the east coast of Koh Lan, looking out over the Bay of Bangkok and toward Pattaya’s cityscape. At dawn, the sun casts a magical light over Pattaya and the sparkling blue water. Throughout the day the pier is a hive of vibrant activity. Watch as tourists disembark from ferries, anxious to visit the island’s beaches. See fishermen bring in the day’s catch and observe as touts enthusiastically sell tours. Check out the contrast of tourist ferries, private boats and old fishing trawlers that bob in calm water. Spot the island of Koh Khrok plus Pattaya Beach and Jomtein Beach, in the near distance. Discover a selection of handicraft and souvenir shops situated at the end of the pier. Browse for beach clothing, hats, sunglasses and curios, among other items. Follow the streets that wind through the village of Naban Port and get a glimpse into the life of many of the island’s residents. Try traditional Thai cuisine, such as khao pad (stir-fried rice with meat or vegetables), at the village’s restaurants. Located on the east coast of Koh Lan, Na Baan Pier is around 4.7 miles (7.5 kilometers) from the coast of Pattaya. Affordable ferries travel frequently between the pier and Pattaya’s Bali Hai Pier, with a journey time of about 45 minutes. Speedboats, which are faster yet more expensive, depart from Pattaya Beach Road. Motorcycle taxis and baht buses (shared taxis) provide easy access from the pier to the island’s attractions. There are also several places to rent scooters. Na Baan Pier is a great starting point for exploring Koh Lan’s beaches. 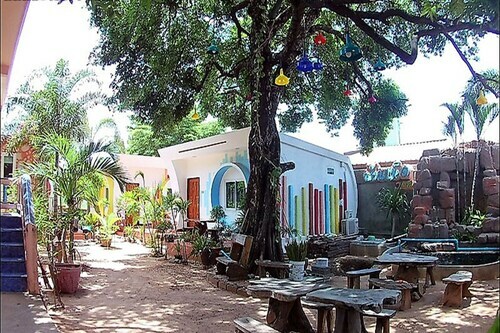 Visit the lively west coast resorts of Samae Beach and Tawaen Beach. Find serenity at Nual Beach and Ta-Yai Beach, both on the island’s east coast. 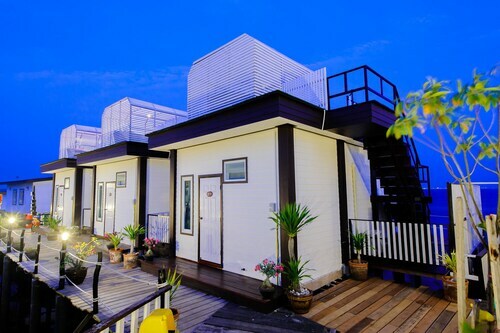 Situated by the ocean, this hotel is within a 15-minute walk of Na Baan Pier and Ko Krok. Tawaen Beach and Ta-Yai Beach are also within 1 mile (2 km). Located in the heart of Koh Lan, this hotel is within a 15-minute walk of Na Baan Pier and Ko Krok. Tawaen Beach and Ta-Yai Beach are also within 1 mile (2 km). 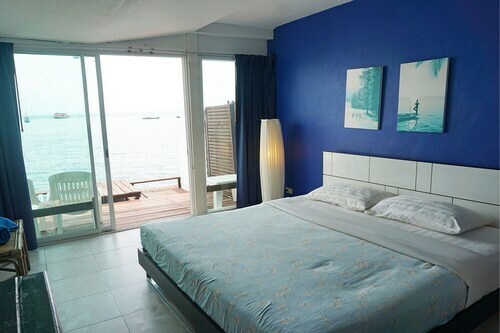 Situated in Koh Lan, this hotel is within a 15-minute walk of Na Baan Pier and Ko Krok. Tawaen Beach and Ta-Yai Beach are also within 1 mile (2 km). 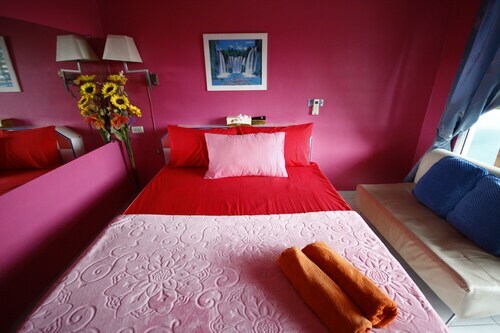 Situated in Koh Lan, this guesthouse is within a 15-minute walk of Na Baan Pier and Tawaen Beach. Ta-Yai Beach and Ko Krok are also within 1 mile (2 km). 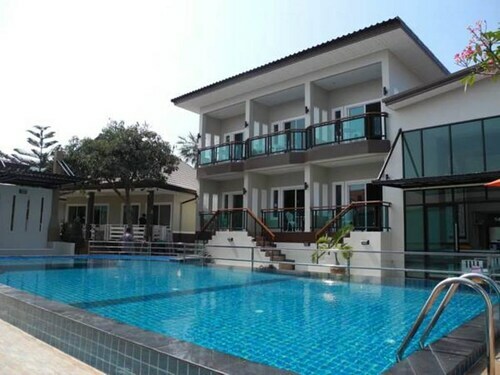 Situated in Koh Lan, this hotel is within 1 mile (2 km) of Na Baan Pier, Tawaen Beach and Ko Krok. Ta-Yai Beach and Samae Beach are also within 2 miles (3 km). 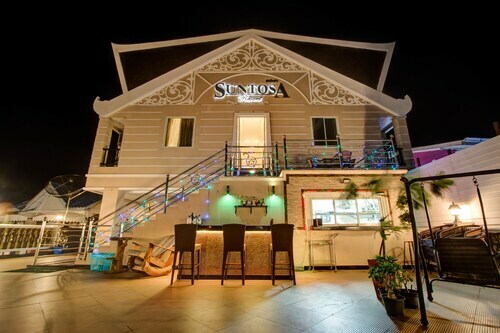 Situated in Koh Lan, this hotel is within 1 mile (2 km) of Na Baan Pier, Tawaen Beach and Ta-Yai Beach. Ko Krok and Samae Beach are also within 2 miles (3 km).